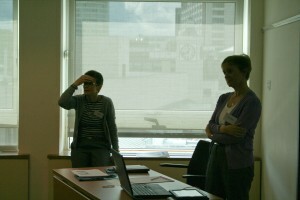 Kay Munro and Rosemary Stenson (both from University of Glasgow) facilitated a presentation and discussion on developing a mobile strategy for the library during the morning breakout sessions. In early 2010, monthly data from Google Analytics began to show significant and steadily increasing traffic to the Library website from mobile devices. 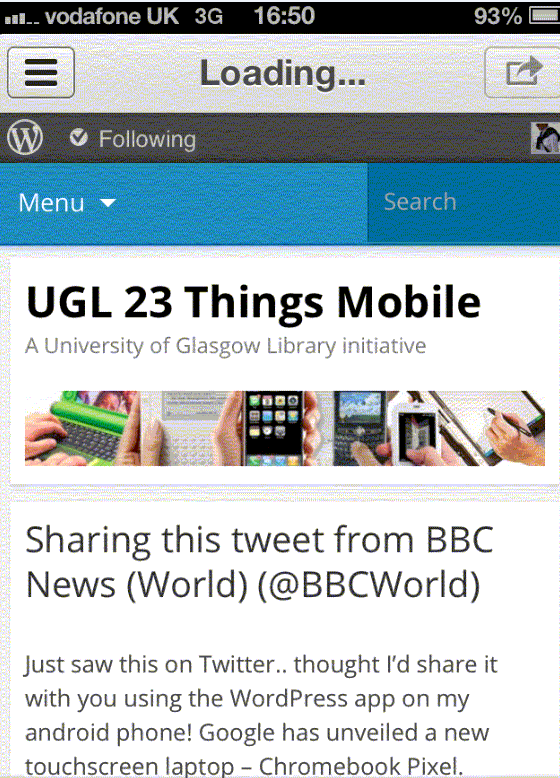 In response to this need to support mobile technologies, University of Glasgow Library established a Mobile Technologies Group, and later, a Mobile Strategy for the library. Kay and Rosemary discussed the development of the ten-strand project plan and progress so far on the implementation and delivery of different areas of the strategy. In order for library staff to be able to support their users, the Mobile Technologies Group have realised the library staff need support and training to help them understand the technologies. One way they hope to support this is with the Live Lab they have which has a variety of mobile devices for library staff to try out to see how they can be supported and used in a library context. 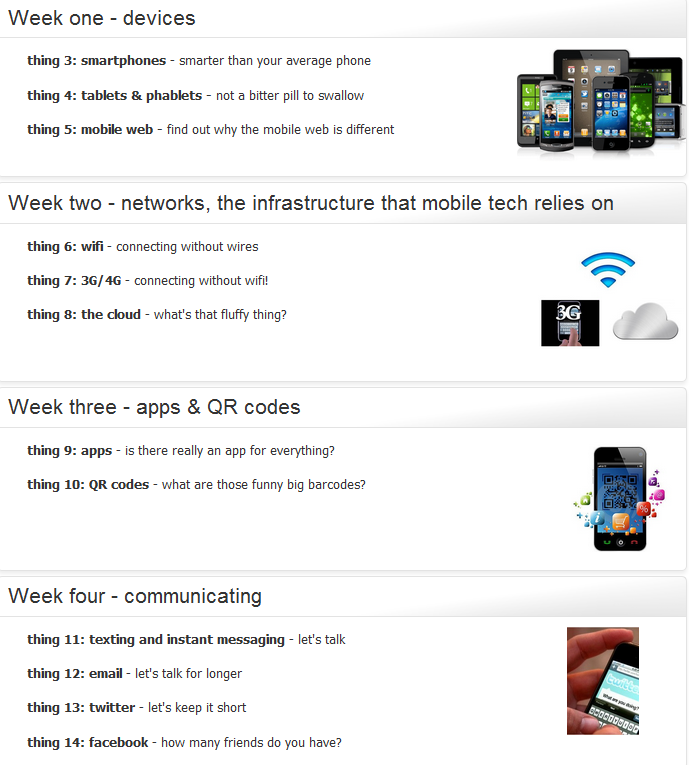 Another initiative they are trialling is a 23 Things Mobile course which will introduce staff to different areas of mobile technologies and encourage them to ‘play’ with them – this initiative has support from senior management and staff will be able to spend an hour a week during the course on this. There was a lot of interest in this and Kay and Rosemary say they hope to be able to share the resources once they have tested out the course. Kay and Rosemary’s slides are available on Slideshare (http://www.slideshare.net/evidencebase/developing-a-mobile-strategy-for-the-library) and Kay also contributed a case study on developing a mobile strategy for the m-libraries community site. This entry was posted in Events, Project news and tagged 23 things mobile, kay munro, live lab, mlibs event, rosemary stenson, strategy, university of glasgow on June 1, 2012 by Jo Alcock.